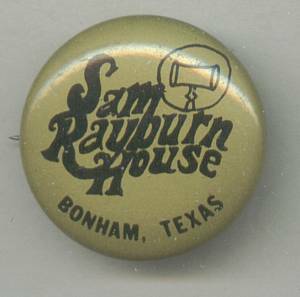 This is a great looking pin back button from the Sam Rayburn house in Bonham,Texas. Sam Rayburn(1882-1961, was a Texas legislator, a congressman and speaker of the Unithed States House of Represenatives for 17 years. This button is a souvenir from his museum house in Bonham,Texas. It measures approx. 7/8" across. The shipping fees quoted are for first class/No insurance in USA. 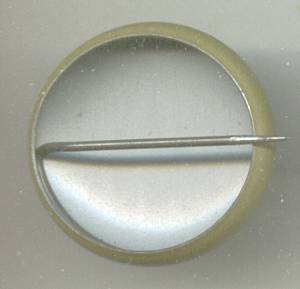 Items Similar To "Souvenirs/Pinback Button From Sam Rayburn House"